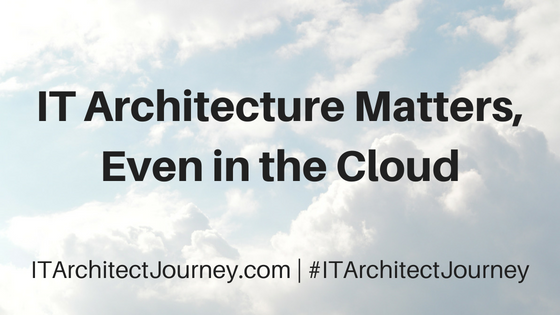 No matter what area in IT we primarily spend our time in, the fact is we are always impacted by the underlaying IT infrastructure, yes, even in the cloud. Many times, we tend to overlook the infrastructure our application is running on, as long as everything is working how we want it to. If we are utilizing virtual machines to run our applications, often we do not even pause to think about what is running underneath. With today’s technology, we simply trust the hypervisor will do its job, and make sure our virtual machines are protected against things like hypervisor host hardware failure, and are getting enough resources. But what happens if something is not working right? What if our database is not performing well? What if there is too much latency between application components and performance is suffering? It is at this point that a good understanding of IT infrastructure can help us determine what is wrong with our application. 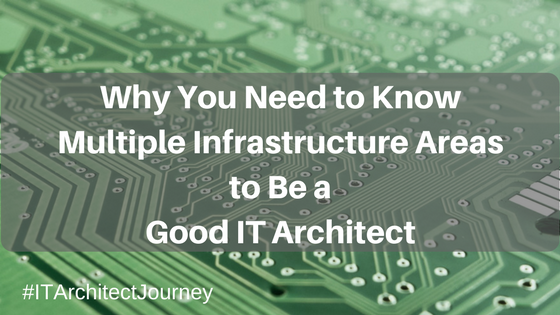 A basic understanding of key IT infrastructure components will only make our knowledge of our applications, and how they function better. By understanding the environment underneath our application, we can better understand what can cause potential problems and issues with our application. 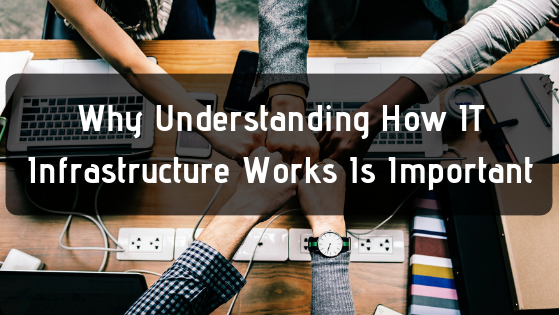 When we talk about infrastructure, we can break it down into three major components: Compute, Network, and Storage. Any device of in our IT infrastructure is made up of these components, even our virtual machines and applications. For example, when we talk about storage, different applications will have different requirements in both performance and capacity. You may have a very small database that does not require much in the way of storage capacity, but requires a great deal of capacity in performance. The storage device the database is using must connect to the server, which is done by utilizing a network, be it a Storage Area Network (SAN) or traditional IP based network. 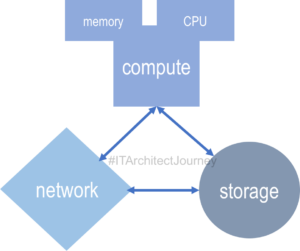 The performance of that storage device will also depend on the compute resources it has available – both CPU and Memory. 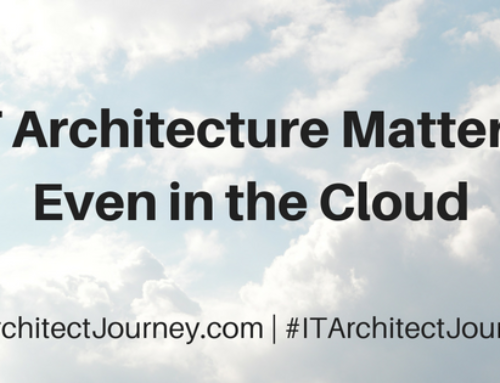 In IT Architect Series: The Journey, we dive into these IT infrastructure areas, and others, in more depth. 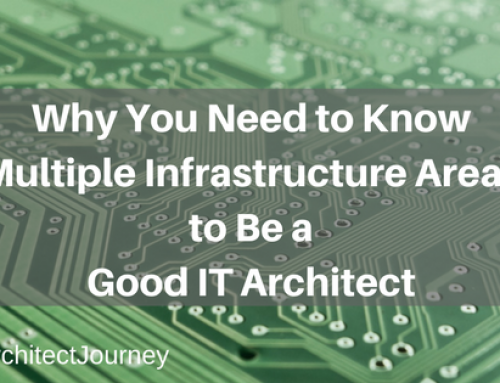 You will learn why each of these areas is important to the IT infrastructure, how to gain knowledge about each of these areas, and most importantly, how the all interact to create the IT infrastructure that services the applications we hold so dear. 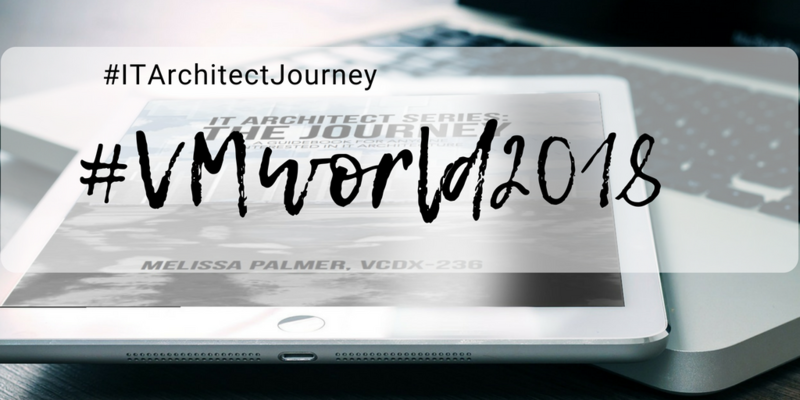 IT Architect Series: The Journey is available in hardcover, paperback, and e-book. Click here for more information on how to get your copy today! 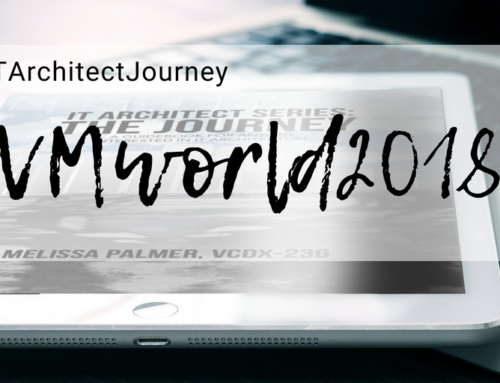 For more detail on what is inside IT Architect Series: The Journey click here.